Remember the Wellington Centre proposal? Well, it was rejected at appeal! 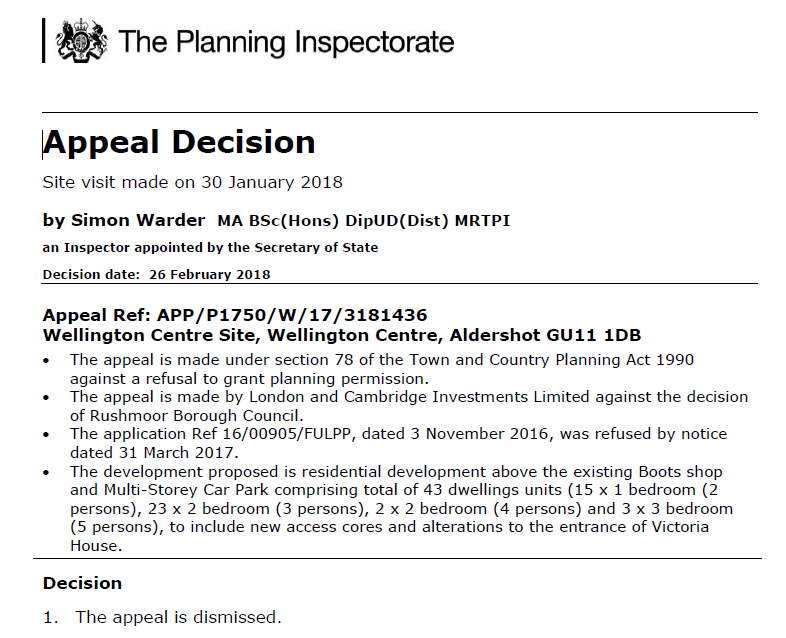 Aldershot Civic Society is delighted that the Planning Inspectorate threw out the appeal. This rejection supports our views that our town centre needs high quality developments that enhance what we all value about the town’s heritage. We’re talking to both the council and developers in town about ensuring that future developments are positive. We’re really pleased that our community’s views have been he…ard and no doubt contributed to the right decision being made. Well done, everyone, for submitting your comments to both the original planning application and to the appeal!